Section 179 allows equipment dealers and other businesses to take advantage of legal tax incentives to help lower their operating costs. A website dedicated to answering questions related to the Section179 Tax Deduction announced on Dec. 21 that the “Protecting Americans from Tax Hikes Act of 2015” (PATH) has been passed by the House and Senate. This expands the Section 179 deduction limit to $500,000, and it will be permanent at this level. Additionally, the 50 percent bonus depreciation will be extended through 2019. 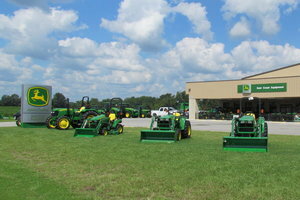 Under Section 179 of the IRS Tax Code, businesses can deduct the full purchase price of financed or leased equipment and off-the-shelf qualifying software for the current tax year. As long as the equipment is within the dollar limits of Section 179, it can be counted in the tax year that the deduction is made. “These agreements are significant and important to the equipment rental industry,” John McClelland, American Rental Association vice president for government affairs and chief economist, told RentalPulse.com. Section 179 for 2015 will expire at midnight on Dec. 31, 2015. Individuals who want to deduct the full price of their equipment from their 2015 taxes will need to finance and put it in place by this date. The Section 179 Deduction is a tax incentive that gives companies an incentive to invest in their work through the acquisition of capital equipment. Taking advantage of Section 179 benefits ensures that agribusinesses have the machinery and software they need to continue functioning efficiently. The Section 179 Deduction calculator can be accessed on the Section 179 website to determine savings leading up to the Dec. 31 deadline.